Where a driver is convicted of failing to wear a seatbelt, the ticket will go on your driving record for three years including any demerit points. Any moving violation on a driver’s abstract can affect your insurance rates. 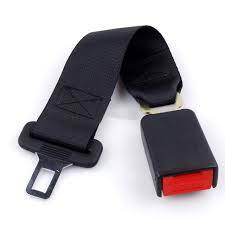 When the police and court refer to “seat belt assembly” it means a device or assembly composed of straps, webbing or similar material that restrains the movement of a person in order to prevent or mitigate injury to the person and includes a pelvic restraint or a pelvic restraint and a torso restraint. Novice drivers have these restrictions as well as the requirements for full licence holders. The perception of the officer may be different from the driver, or even the view point maybe obstructed. Where the driver attends court and provides evidence to the court that is just as credible and contrary to the officers evidence, the Justice may dismiss the charge. During trial a proper cross-examination of the police officer must be made. This ensures that the officer actually did witness the occupant not wearing the seat belt. As well as these initial elements of a trial there are other issues that can be pursued for your advocacy, including legal arguments, disclosure issues and time delay / charter applications that may apply.